27 June 2017: In response to queries from members of the public, we have written to Wellington City Council regarding the funding arrangement for Singapore Airlines’ Wellington-Canberra-Singapore route. 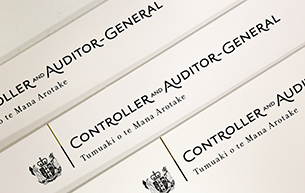 10 July 2017: On 11 May 2017, the Auditor-General received a request from Rt Hon Winston Peters to look into Fuji Xerox and all-of-government contracts. This is our response. 17 July 2017: On 23 February 2017, the Auditor-General received a request from Denise Roche MP to look into the the decision to grant citizenship to Peter Thiel. This is our response. 3 August 2017: Acknowledging the resignation of Martin Matthews as Controller and Auditor-General. 7 December 2017: The Havelock North inquiry report could have implications for our work. 21 December 2017: We have decided on an inquiry and its terms of reference.